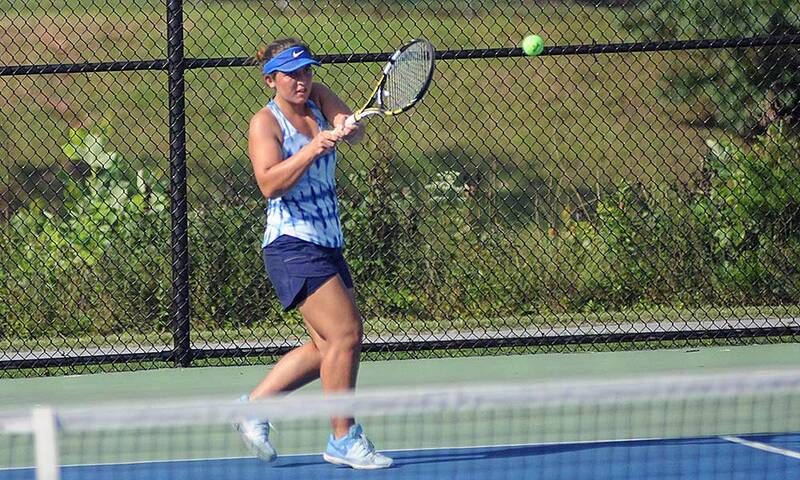 The distinguished career of Polk County senior Hannah Jenne came to an end Saturday as Jenne was defeated in the semifinals of the state 1A tennis tournament in Cary. Jenne, the 1A West Regional champion, dropped a 6-3, 6-1 decision to Gray Stone Day’s Emma Bost, whom Jenne defeated in last week’s regional tournament, during Saturday morning’s semfinal action at Cary Tennis Park. The final was scheduled to be played later Saturday. Jenne teamed with Tana Harris to win the state 1A doubles championship a season ago and is believed to be the first girls regional tennis champion in school history. Research Triangle freshman Sabrina Grewal defeated Bost 6-2, 6-1 in the final to win the 1A state title.